Over the years, we have gained immense credibility across different domestic and international markets in offering a wide assortment of Temperature Data Logger. The offered data logger is precisely manufactured using the best quality components and modern technology. Used latest micro controller based technology for better accuracy, we provide this data logger in different sizes and specifications. Our offered data logger has gained huge appreciation in the market for its striking features. To serve the requisite demands of our clients, we are engaged in manufacturing and supplying a qualitative range of Multichannel Temperature Scanner that is a high speed data acquisition system with high resolution and accuracy. The offered scanner is manufactured using the finest quality components and advanced technology under the vigilance of our skilled professionals. To fulfill the variegated needs of our clients, we offer this scanner in different specifications and sizes. 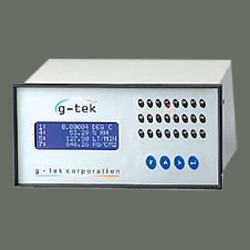 We bring forth an excellent collection of 16 Channel Temp Scanner for our valuable clients. Used for measuring multiple pressures simultaneously, offered scanner is highly acclaimed by the clients for its easy installation and dimensional accuracy. Manufactured under the vigilance of adept professionals with high grade raw material and advanced technology, this scanner is widely demanded in the market. Moreover, this scanner can be easily customized as per customers’ specifications. Keeping in mind ever-evolving requirements of our valuable clients, we are offering an exclusive range of Process Data Loggers. The offered data loggers are designed using quality tested components and ultra-modern technology in line with industry norms. Our valuable clients can avail these data loggers from us in different designs and customized options at affordable prices. Used to continuously and accurately monitor and log, in a tamper proof manner. The series SC5x / 9x of data logger is all new and revised scanner / data loggers. They incorporate the state of the art 4x20 characters backlit LCD display with white over blue characters to make it visible from the distance. It is a high speed data acquisition system with high resolution and accuracy.This data loggers along with AqWire series of Software makes a complete solution for 21CFR Part 11 compliance. User defined Password protected menus does not allow any unauthorised changes either from PC or from key-board. Every changes are reported either online or in offline mode.It has a built-in nonvolatile memory of upto 1MB.The online printing and storing is possible from 5 seconds up to 18 hours.These series has an added feature of high and low alarm per channel with an up to eight alarm groups. It has a facility to assign any alarm to any group. It has an option of communication like RS232C, RS485 or USB. 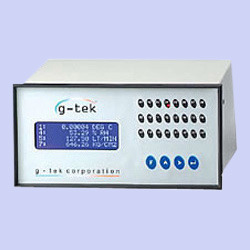 It is a high speed data acquisition system with high resolution and accuracy. This data loggers along with AqWire series of Software makes a complete solution for 21CFR Part 11 compliance. User defined Password protected menus does not allow any unauthorised changes either from PC or from key-board. Every changes are reported either online or in offline mode.It has a built-in nonvolatile memory of upto 1MB.The online printing and storing is possible from 5 seconds up to 18 hours.These series has an added feature of high and low alarm per channel with an up to eight alarm groups. It has a facility to assign any alarm to any group. It is a high speed data acquisition system with high resolution and accuracy. This data loggers along with AqWire series of Software makes a complete solution for 21CFR Part 11 compliance. User defined Password protected menus does not allow any unauthorized changes either from PC or from key-board. Every changes are reported either online or in offline mode. It has a built-in nonvolatile memory of upto 1MB. The online printing and storing is possible from 5 seconds up to 18 hours. These series has an added feature of high and low alarm per channel with an up to eight alarm groups. It has a facility to assign any alarm to any group. Looking for High Speed Scanners ?